Greenwich Peninsula Ecology Park is a vital green space right in the heart of urban Greenwich and has played a crucial role in the area's regeneration. A fascinating variety of wildlife thrives in this lovely green oasis. In sprint and summer the park comes alive with colourful dragonflies, damselflies and butterflies. Whatever the season there is something for everyone - whether you enjoy bird watching, looking at wildflowers or just relaxing in beautiful surroundings. While there isn't a cafe on site, the Vagabond Food Cafe is a five minute walk along the Thames Path at The Jetty. 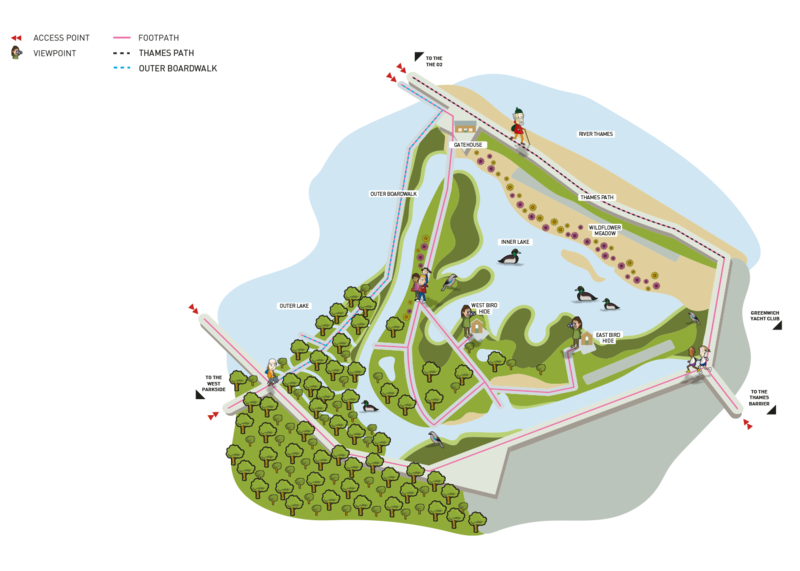 The park is made up of an outer lake area with open access at all times and an inner lake area accessible only through the Gatehouse during opening hours. There are level paths suitable for those with a disability. Cycling is not permitted and children under ten must be accompanied by an adult. Dogs (apart from guide dogs) are not permitted. Quiz trails, colouring sheets and toy binoculars are available in the Gatehouse. There is an events programme with extra drop in activities in the school holidays (except Christmas). Special events with family activities, food and stalls include Frog Day (March), Wild Day Out (June) and Winter Fayre (December). School visits available (term time only) and there are volunteering opportunities available. 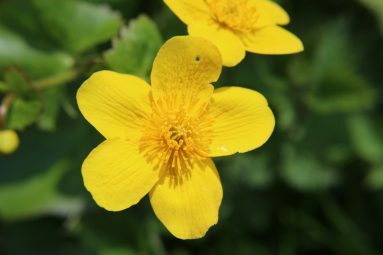 The Park includes two freshwater lakes surrounded by marshland, a small Alder woodland, a walk-in wildflower meadow and is home to a fascinating array of wildlife. Two bird hides allow fantastic views of the many birds that visit the park including winter species such as snipe and water rail and summer visitors such as reed warblers and swifts. It is a Site of Local Importance for Nature Conservation (SLINC). Souther Park, Thames Path, The O2, Emirates Line Cable Car, The Crystal and Thames Barrier. The Greenwich Peninsula was originally made up of agricultural fields, marshes and even a large mill pond, and was historically known as Greenwich Marsh. The area became heavily industrialised from the late 1880s onwards with gas and chemical works and a major shipbuilding yard. The Blackwall Tunnel, built in 1897, destroyed much of the remaining field and marsh. From the 1970s onwards the Gas Works declined and marsh began to reappear on derelict land. English Partnerships bought the land in 1997 and set in place a massive regeneration of the peninsula including restoration of parts of the riverbank and the creation of the Greenwich Peninsula Ecology Park as a freshwater habitat. Since 2002 the park has been successfully managed by The Conservation Volunteers (TCV). Ownership of the site passed to the Land Trust in 2011, and is still managed in partnership with TCV. 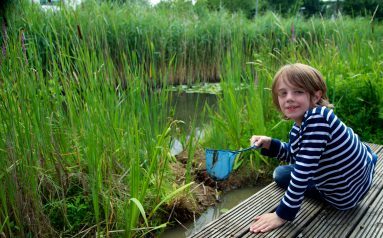 Greenwich Peninsula Ecology Park is a vital green space which has played a crucial role in the regeneration of the Greenwich Peninsula. To ensure the park remains an asset to the area Homes England passed ownership of this key public space to the Land Trust. To contact the Land Trust about this site or how we could help manage your space please email our Estates Manager	Steve Crosby	. Greenwich Peninsula Ecology Park holds a Green Flag Award. Greenwich Peninsula Ecology Park was shortlisted in the Best Urban Park category at the Horticulture Week Custodian Awards. 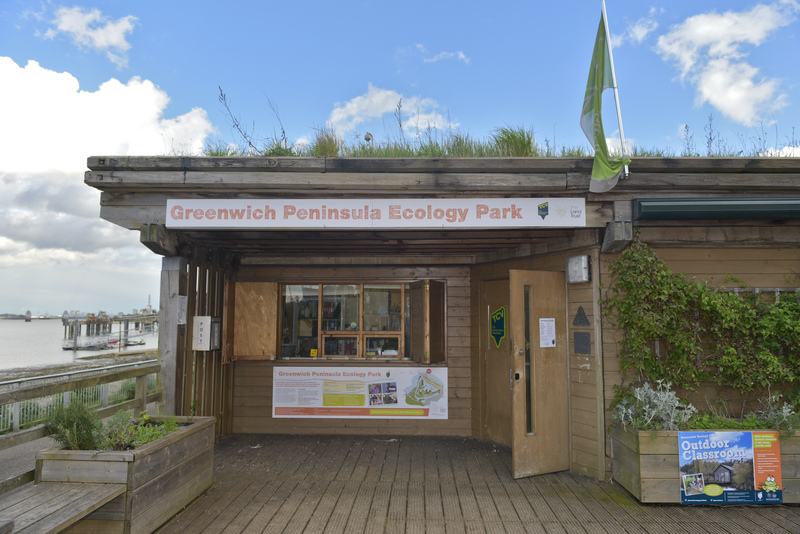 Greenwich Peninsula Ecology Park wins Green Flag Award for 2015!